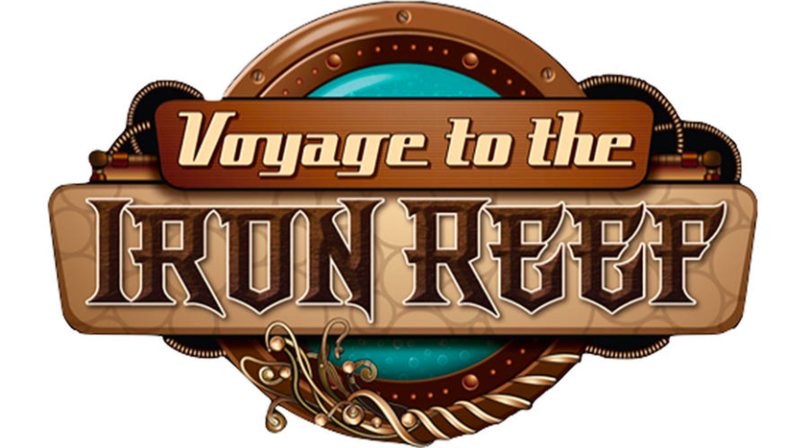 In a continued commitment to enhancing themed entertainment at Knott’s Berry Farm, today they announced their newest addition set to open in 2015, Voyage to the Iron Reef! 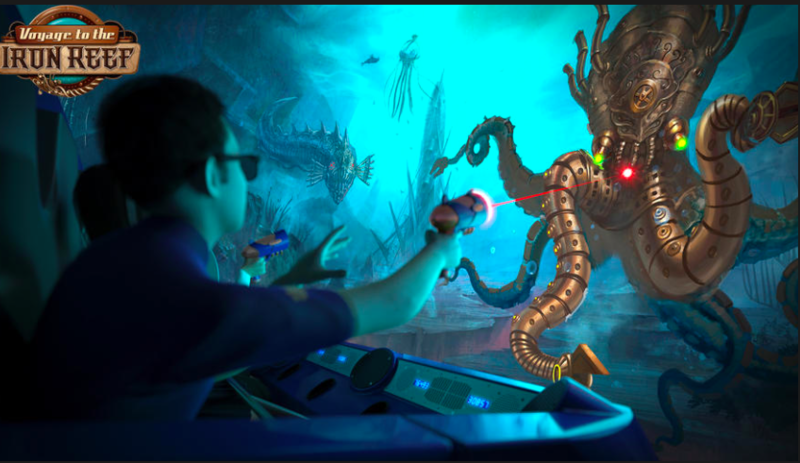 Triotech will be creating this new ride, which also built Guardian of Wonder Mountain in Canada’s Wonderland, a park also owned by Knott’s parent company, Cedar Fair. This new ride will be in the former location of Kingdom of the Dinosaurs and Knott’s Bear-y Tales, which has been sitting dormant for years. Riders wearing 3-D glasses will board vehicles that will take them on a four minute journey to an underwater cavern via projected video screens. Turns out, there’s this army of sea monsters looking to destroy Knott’s Berry Farm and all the rides from underneath the park and it’s your job to zap them before they destroy the park. Riders will see several familiar Knott’s icons projected onto the screens as the creatures slowly destroy them. 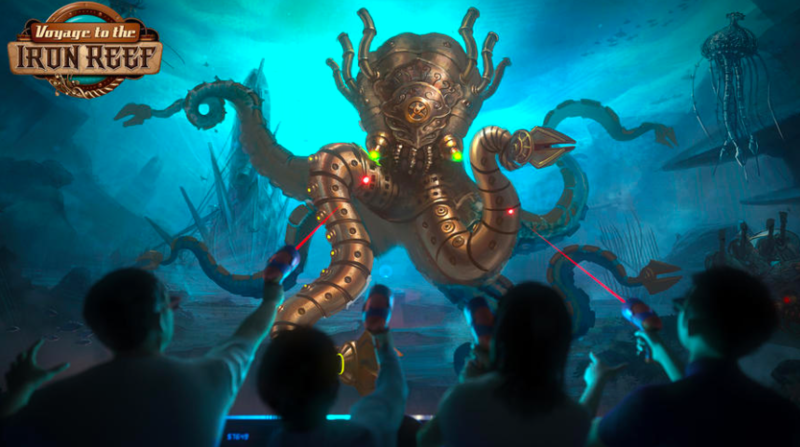 These aren’t just any sea creatures, there are steam punk-ified crabs, sea urchins and more leading up to the finale: a giant iron octopus who’s clearly ticked off you’re throwing off her wave of destruction. Something tells me, this will not be the last ride collaboration we hear of between Triotech and Cedar Fair Parks. This technology allows the park to change out the entire theme of the ride year after year if they so desire or create season versions for Halloween like they did at Canada’s Wonderland. 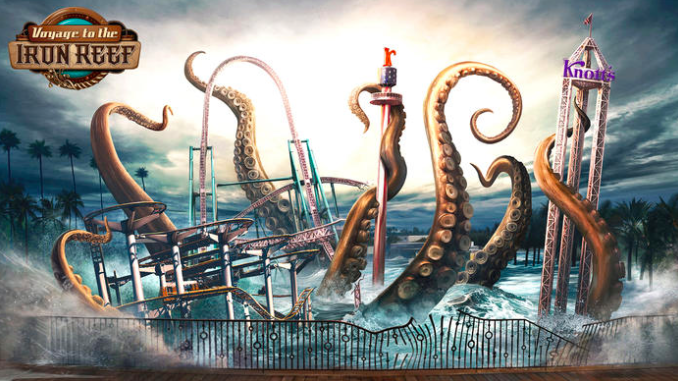 Personally, I am glad to see Knott’s adding another dark ride to the park again. What are your thoughts? Is this a worthy replacement for Kingdom of the Dinosaurs and Knott’s Bear-y Tales? Make sure to follow Theme Park University on Twitter and like our Facebook Page! This entry was posted in News, Theme Parks 101 and tagged dark ride, Kingdom of the dinosaurs, Knott's Bear-y Tales, Knott's Berry Farm, steampunk, Triotech, Voyage to the iron reef. Bookmark the permalink. Trackbacks are closed, but you can post a comment.